I am loving my colorful "Charming Jacket" from CAbi. It has a dressed up feel, so I pair it with more casual pieces. As you know, these are my favoirte kind of looks. Some past outfit shots are below. awesome! 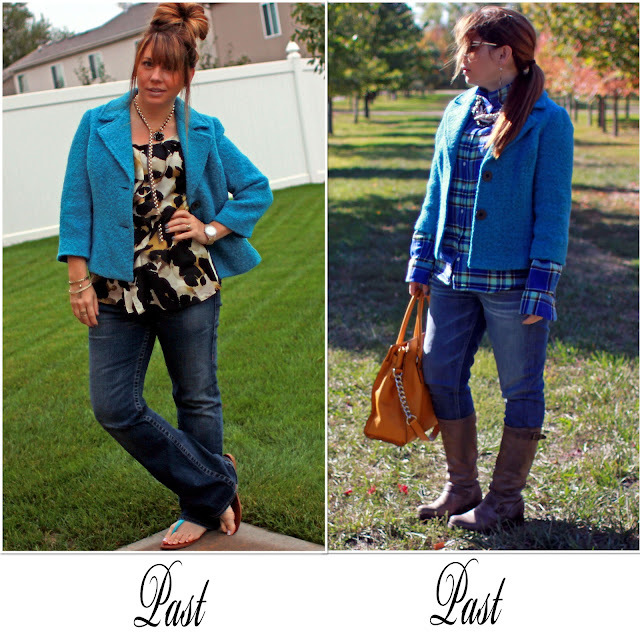 so happy to find a blogger who wears CAbi! new follower! Thanks for the comment! Yes, I am a huge fan of CAbi's designs!